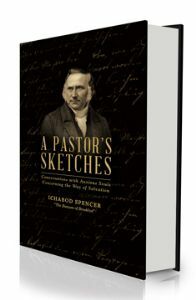 "Dr. Ichabod Spencer issued a very remarkable work entitled A Pastor's Sketches, which attracted wide attention and admiration...It is a brilliant book. I hope you will study thoroughly this unrivaled book. Spencer was the Bunyan of Brooklyn; the secret of his success was that he always aimed to conspire with the Holy Spirit." "This is a book of remarkable interest. It is one of pastoral experience; and a thrilling interest gathers about many of the scenes and incidents." "This is a remarkable book. The work is written in a bold, clear, straightforward style that carries the ideas direct to the heart." "The pictures are true to life, and are sketched with such graphic skill as to forbid the possibility of their having been the product of mere fancy." "The book is in the dramatic form, and so vividly drawn that the reader becomes not merely a spectator, or a listener, but an actor in all that is described. Few will be able to leave it until they have read its last page." "None but a genius of the first order, a wisdom imbibed at the feet of the Great Teacher, a thorough knowledge of the human heart in its most subtle forms of deception and in all its casuistries and varied developments, and a personal observation of singular scope on this field of labor, could have produced such deeply interesting and life-speaking sketches. It is an invaluable contribution to our doctrinal and practical literature."